Aberdeen is the best place to get your BOSIET certificate, there are many companies to choose from, years of experience, all OPITO standard. to prepare you for your job offshore. Aberdeen is packed with oil and gas history and training companies have years of experience, people travel from all over the UK to get their certificate. The HUET, the underwater helicopter training module of the BOSIET, is famous in Aberdeen as everyone knows what it is, the training provided in the north east of Scotland is renowned for its great facilities, experienced staff and having a helicopter that submerges in the pool. Target Audience: This course is for anyone seeking to work offshore on an oil/gas rig, installation or support vessel. 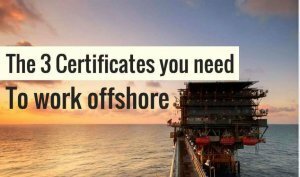 Getting your BOSIET certificate is your first step to working offshore, otherwise know as Offshore Survival Course or previously named RGIT. This course is required to work offshore on oil/gas rigs and boats. 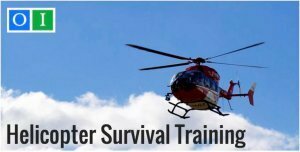 This is the exciting course that involves, helicopter escape (HUET), fighting fire and basic first aid. 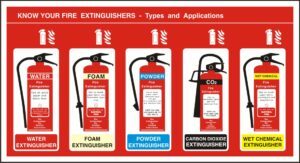 This gives you good basic emergency survival skills for offshore. BOSIET training is not simple, if you cannot get out of the helicopter when its underwater you are not going to pass this course and will not be allowed offshore. A common question is can you do the course if you can not swim? The answer is yes, swimming is not required, you are trained to escape the helicopter, open your lifejacket and survive at sea. Check out this video to see what you are getting yourself into. The UK has one of the Highest saftey standard offshore and the MIST is now mandatory. This is video by OPITO on the BOSIET training course, the video is a bit dated but the training hadn’t changed much since. Emergency First Aid: You will learn how to give emergency first aid to an injured person, simulating emergency scenarios that may occur when working offshore. Helicopter travel: How to get on and off a helicopter safely and to an oil/gas high standard. Helicopter Ditching: Also called HUET, Learning how to survive after helicopter emergency landing in the sea, the training will take part in a pool using a custom build helicopter with submersion and inversion capabilities. Learning step by step how to escape in a submerged helicopter, when to unbuckle from your seat, how and when to open the helicopter window while under water, how to stay orientated and getting to the surface. Sea Survival Training: After abandoning the Helicopter you’ll need to stay alive long enough for the rescue helicopter to find you, this part of the course will teach you sea survival skills, sticking together, keeping warm, getting in escape rafts and signalling for help. 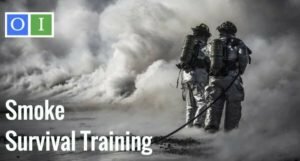 Fire and Smoke: Learn on how to escape from a zero visibility smoked filled room, preparing you for a potential fire situation on the rig. In recent years OPITO introduced MIST the industry standard training. The MIST course is an intensive safety course highlighting al major safety issues, and discuss the Piper Alpha disaster, the biggest oil and gas disaster that killed almost everyone onboard, it was a tragedy for Aberdeen, and the people of Scotland, however the industry reacted and improved Safety Standards across the UK. Check out our page on Getting Started Offshore.